This regular series will examine different facets of building musicians in which we hope to dispel myths and inaccuracies. Most importantly, our goal is to provide support for music teams and provide constructive solutions for singers. 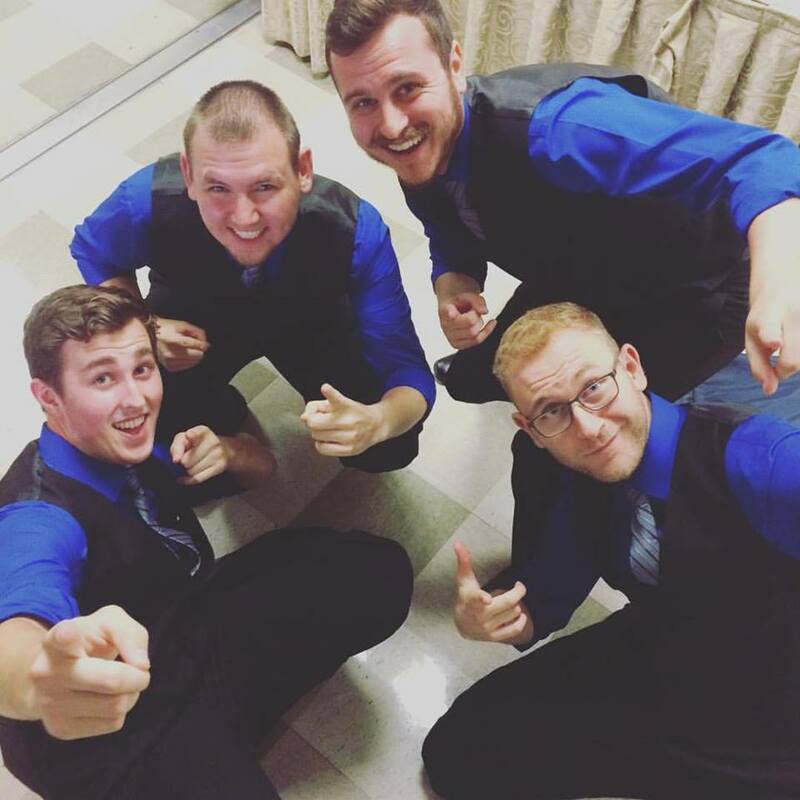 Singers join our chapters for many reasons, but all share the love of singing barbershop chords. Some singers come to us with years of singing experience and they can hop on the risers with no problem at all. 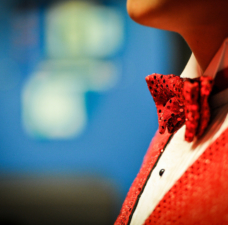 Some singers come to us with nothing but earnestness and a love of singing and camaraderie. All should be welcome. 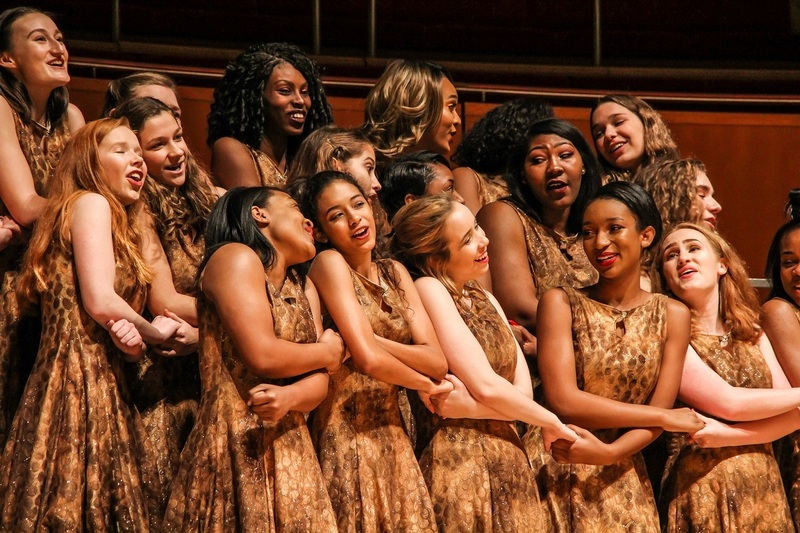 Joining a chapter and singing in a chorus can be intimidating, especially if you don’t feel secure in your singing voice or in your musicianship. Perhaps someone made a joke about your singing voice at one time (see a previous blog post to find out what we think of that!). Perhaps you feel self conscious about your music reading abilities. Would it surprise you to know that some of our early quartet champs could not sight read music? 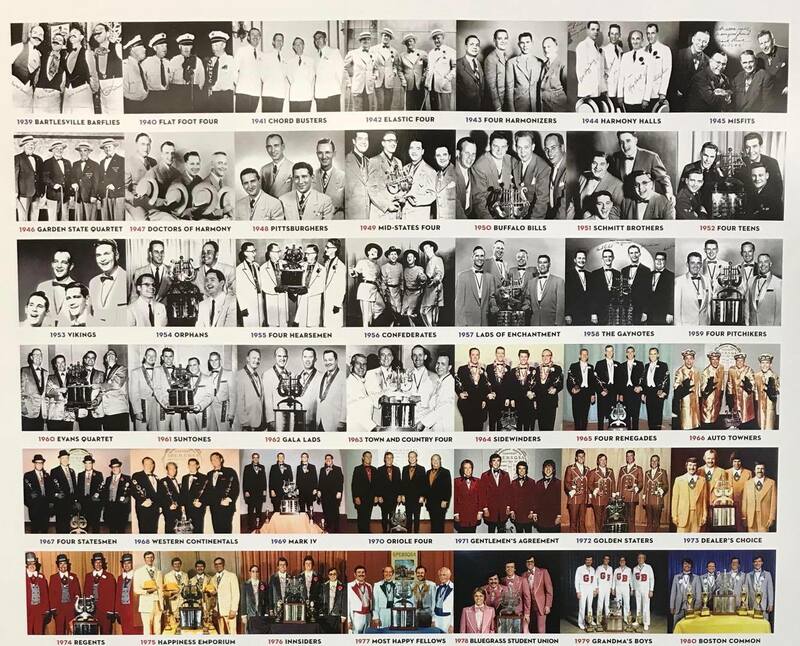 A research study by choral professor and 1991 gold medal champion bass of The Ritz, Dr. Ben Ayling, showed interesting survey data results of the music literacy of early quartet champs. Of those surveyed, 26.7% indicated that they could not read music upon joining their quartet. 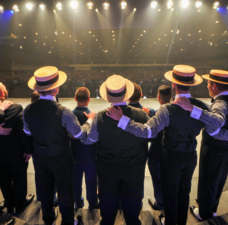 Further, 96.5% of respondents indicated that singing barbershop music increased their ability to read music. How glad we are that they stuck to their desire to sing, despite their perception of their personal musicianship abilities! 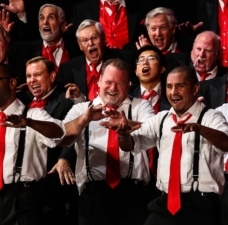 Singers join our chapters for many reasons, but all share the love of singing barbershop chords. Some come to us with years of singing experience and they can hop on the risers with no problem at all. 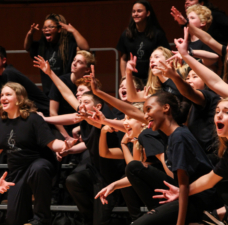 Some singers come to us with nothing but earnestness and a love of singing and camaraderie. All should be welcome. 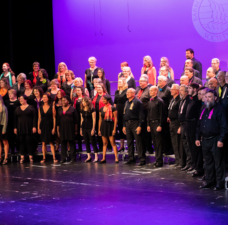 Joining a chapter and singing in a chorus can be intimidating, especially if you don’t feel secure in your singing voice or in your musicianship. Barbershop.org: Did you know we created a free, online musicianship tutorial? It is divided into 4 sections, each with 7 parts. Most of the examples use excerpts from barbershop songs. MusicTheory.net: This website has many free exercises to help you build your skills learning. You can go as fast or slow as you want. Teoria.com: A great site to learn music notation and even work on ear training (identifying intervals and chords). Phitulga.com: A neat site that can help you learn to read rhythms. PitchImprover.com: This is a great resource for ear training. Of particular interest was their chord identification section. SightReadingFactory.com: This website has a several free exercises to download. Eyes and Ears - An Anthology of Melodies for Sight-singing: This free, downloadable book is a great resource to sequentially build musicianship. 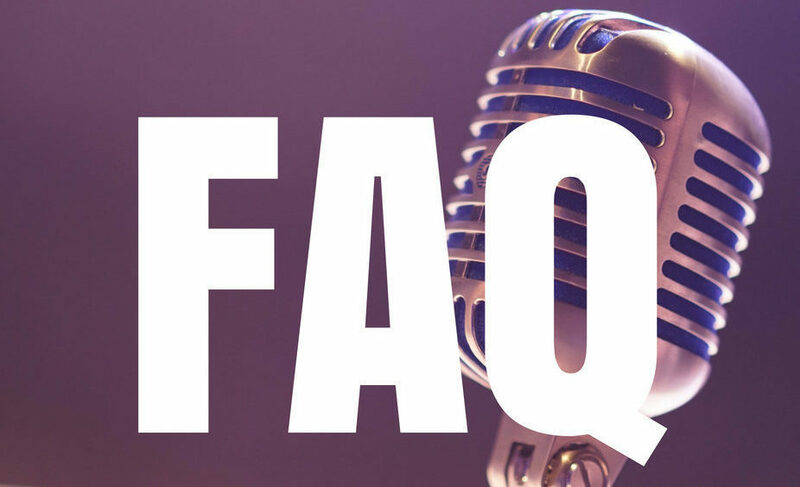 If you know of a resource that should be on our list, let us know: harmonyu@barbershop.org. No one is born with the ability to sight read music. The process of learning to sight read is often compared to learning a new language. Please exercise patience with your fellow singers, as we are all at different places on our musical journey. 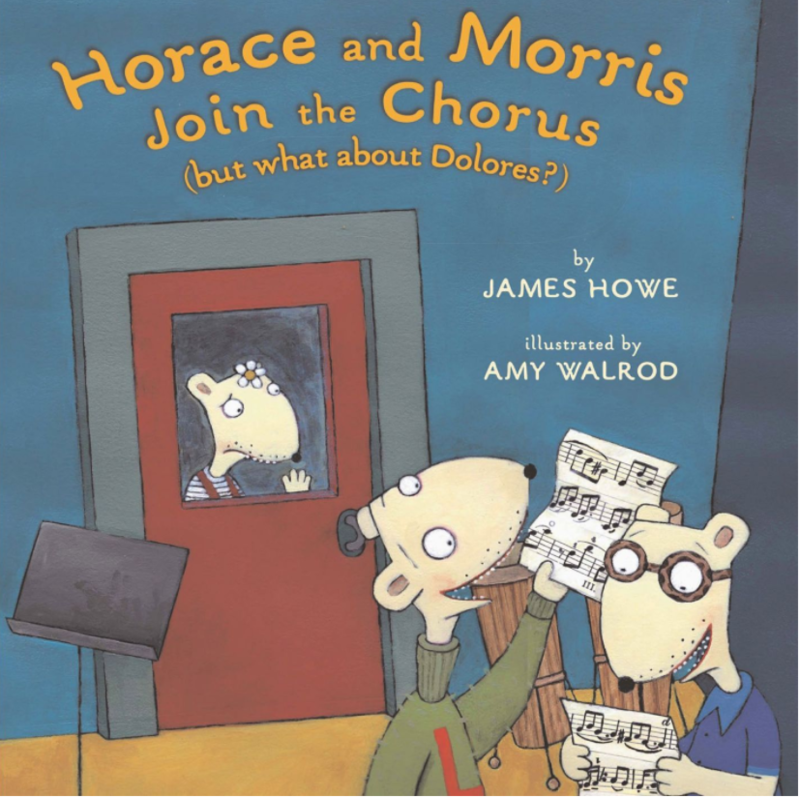 Horace and Morris, but mostly Dolores, are back again for another uproarious adventure. When the three best friends decide to try out for the school chorus together, they're shocked when Dolores (who can only sing notes that no one has ever heard before) is the only one who doesn't make the cut. After all, they've always done everything together. In an especially poignant moment, Dolores tried not to feel hurt or angry for being left out of the chorus, particularly as her friends are now too busy with rehearsal to play with her. But she felt both of those things. She finally decides to write “Moustro Provolone” a letter and declares, “Who tells a bird she shouldn’t be heard? Singing is just what birds do! So please take my word - I'm a lot like a bird. I have to sing out loud and true!” Her impassioned pleas convince the director to let her in the chorus and Dolores agrees to take extra lessons with the director in preparation for the final concert. One of the loveliest moment in this book is the care Dolores’ teacher took to personally teach her. By the end of the book, Dolores most of the time “sang notes in the concert that everyone had heard before.” Is there a Dolores that wants to join your chapter, but is worried about how they are perceived? Is there a Dolores now in your chorus that you can help?